John Lobb Bootmaker, founded in 1866, manufactures an exclusive range of bespoke and ready-to-wear shoes for men as well as essential shoe care products. At The Mark, we are proud to have a number of butlers in house who are John Lobb certified shoe polishers. As part of our service our guests can choose to avail of a complimentary overnight shoeshine or an in-chair-shine in which our guests shoes will be cared for, pampered and glazed, applying the highest John Lobb expertise. The John Lobb Kiosk is located on the mezzanine level and features John Lobb merchandise. 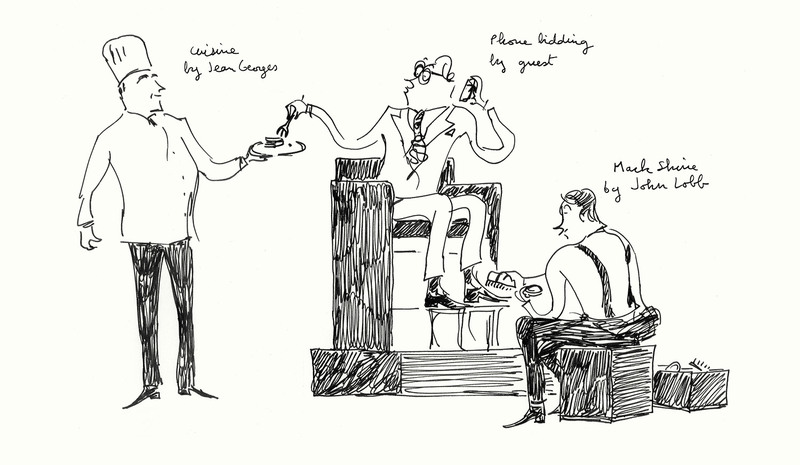 The John Lobb Shoeshine Kiosk is located on the second floor. There is an unobstructed route to the Shoeshine Kiosk from the registration desk as well as the rooms and suites via the accessible elevator.